It’s another first for Boston! As you know, we’re constantly looking for ways to better serve our clients. 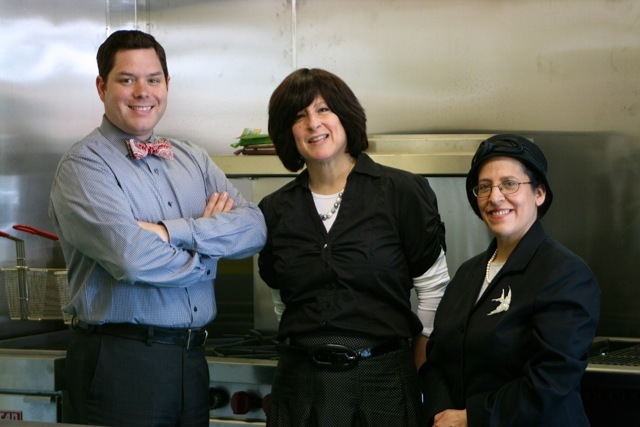 When we discovered that the Boston Jewish community didn’t have any viable options for a caterer and event planner that provided both services at a value, our brains started churning. “Let our unrivaled experience, strong team framework and passion for creating successful events invigorate yours—at a value.” That’s what we promise on our homepage, and that’s what we now bring to the Boston Jewish community! Recently, we’ve partnered with Edna Bension of Ora Catering. This partnership offers the city of Boston access to Ora Catering’s delicious kosher food while simultaneously bringing you BG’s legendary innovative event design and award-winning team at an unmatched value. All it takes is one simple phone call. It’s a true first for Boston. As our new kosher page will tell you, “It all starts with a ritual.” We’re excited to begin producing the celebrations surrounding these rituals, such as Kosher weddings, private house parties and bar/bat mitzvahs. For those searching for the perfect kosher event partner, we encourage you to give us a call. Clients will quickly find out just how much event planning creativity and expertise—as well as knowledge of and experience with the Jewish tradition—that our simcha specialist, Devora Millman, truly has. From everyone at BG, we can’t wait to help plan your family’s special day. We’re ready to bring BG’s stylish, trendy and exclusive planning, Ora Catering’s unbelievable kosher food and our entire team’s elegance and imagination to your special occasion. For a peek at our new kosher brand, take a look at our specially dedicated kosher page!